One of the largest churches in downtown Toronto, Metropolitan United Church, hosted an Iftar and dinner gathering on Thursday, May 24 and over 150 people were in attendance to join with Muslims as they broke the fast. The Intercultural Dialogue Institute GTA in conjunction with the church organized the event. “We are absolutely delighted that you have joined us for this event, the third year that we are doing it with Metropolitan United, and we are thankful for this partnership,” said Azim Shamshiev, Executive Vice President of the Intercultural Dialogue Institute GTA, in his welcoming remarks. “Ramadan is a very special and the holiest month of the year for 1.7 billion Muslims throughout the world. During this month, healthy Muslims abstain from eating and drinking but there is more to the month of fasting than this – it is a time of inner reflection and devotion to God and trying to be a better moral person. Muslims think of Ramadan as a tune up for their spiritual lives,” noted Shamshiev. 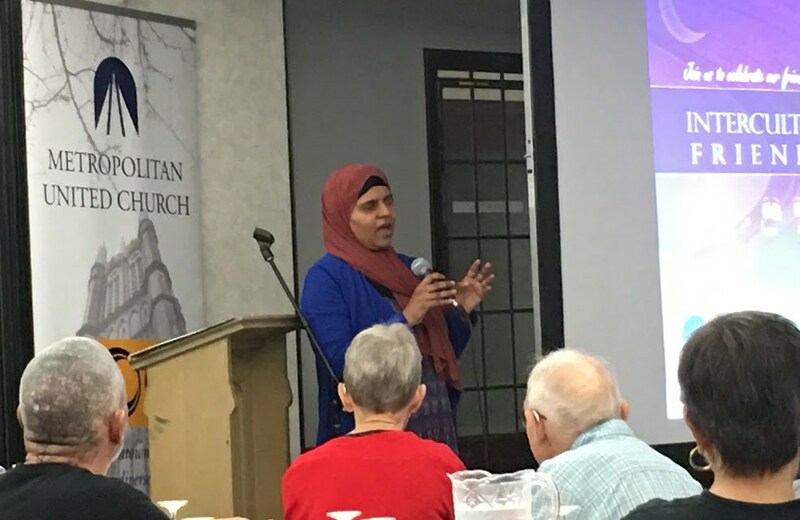 The event was themed ‘A Sanctuary in the City, a Safe Place for All’ and the keynote speaker was Rabia Khedr, a Commissioner at the Ontario Human Right Commission and founder of the Canadian Association of Muslims with Disabilities (CAM-D). “I really believe in the importance of getting to know each other. I believe that if we get to know each other, we would eliminate most of the chaos that we have in the world. We tend to do that othering thing – not ‘us’ but ‘them’, those people,” said Rabia Khedr in her address. 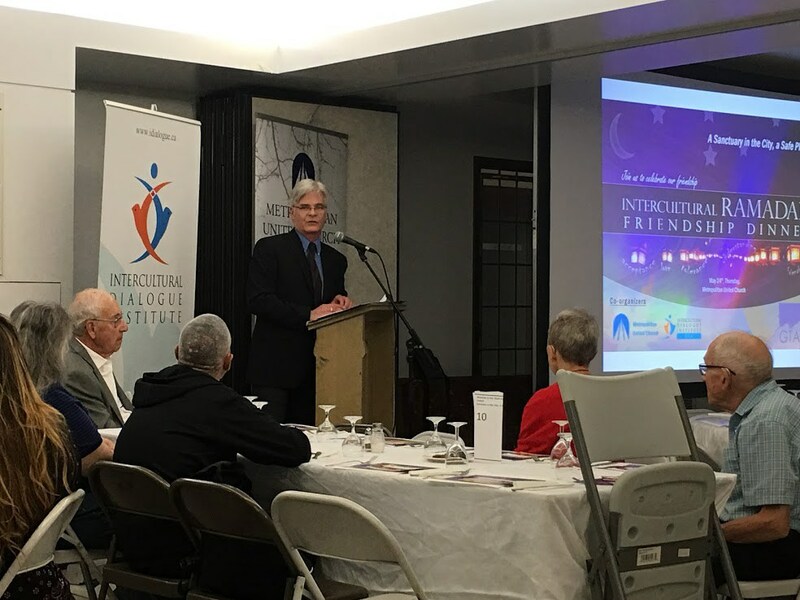 Every year, the Intercultural Dialogue Institute GTA (IDI-GTA) hosts a series of community Iftar (fast-breaking) dinners during the month of Ramadan. The event organizer, the Intercultural Dialogue Institute, is a non-profit organization whose purpose is to advance social cohesion through personal interaction by promoting respect and mutual understanding among people of all cultures and faiths through dialogue and partnership. The Iftar dinner programs are meant to bring together people of various faith and ethno-cultural backgrounds and serve as a means of fostering dialogue and cross-cultural awareness. The programs address various topics related to common teachings and values in different faith traditions and cultures. A centerpiece of the event is the keynote address provided by a distinguished speaker who has relevant expertise with regards to a pressing and relevant topic.